A place where there is nothing you need to change. A place where you can love yourself no matter what thoughts, challenges or situations arise. Be and breathe through your challenges. Honor the feminine, a state of resting into the beauty of who you are. Yoga provided the first experience for me to “Just be.” For the first time I learned to sit with the uncomfortable sensations in my body and breathe into them. I allowed myself to feel the difficult emotions of a break up, the self-consciousness I held around my skin breaking out, how inadequate I felt not being able to find stable work, and how difficult it was to be trying to fit into the mold of a society that I knew in my heart was not for me. It was in yoga class where I first discovered to ‘just be’ and in that space - I began seeing visions. 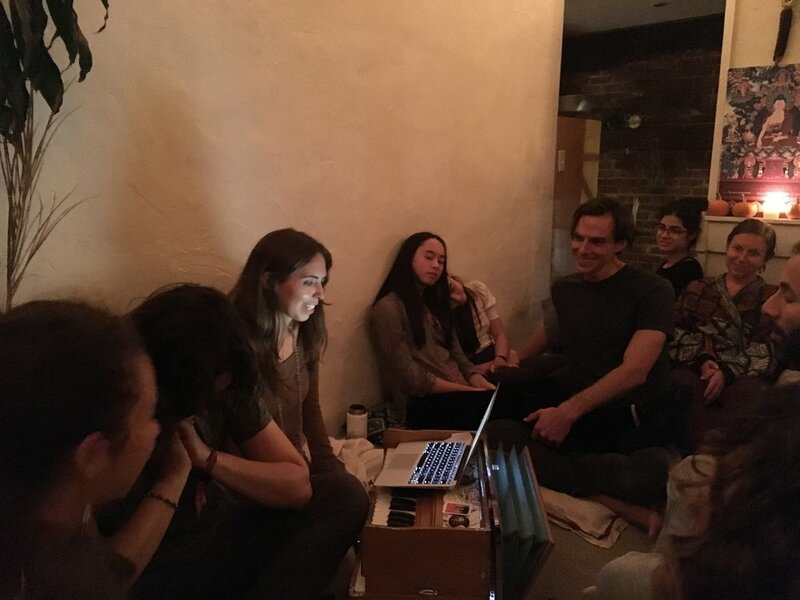 Through listening to one of these visions, I moved to SF and started a new life. Within a few months I was cutting off all my hair and found myself on a plane to India, on a quest to seek love within rather than outside of myself. I lived there for six months visiting spiritual teachers and gurus. Amma’s ashram was the first place I landed. The book shares the meaning of eleven mantras (each chapter title begins with one) and teachings from the Far East. But even more than that, it’s a love story. I fell in love with a man who was a devotee of Osho, and he consistently challenged my beliefs and conditioning on how I thought a relationship needed to look. In the end of the book, I find myself again with a broken heart, but this time, I had learned to forgive. I learned that I was 100% in control of my own happiness, and as much as I wanted to control other people’s thoughts and actions, I really deeply understood that I only had control of my own reactivity. You get to see my evolution, how I handled my pain and my challenges from beginning to end. How I learned to be present in the moment. To let go of all the pressure I put on myself to fit in to a society that wasn’t working for me. I share about how I learned to meditate and how meditation softened me, and allowed me to “Just be” even more deeply through whatever arose. When you meet Meredith, you can feel her profound, innate wisdom. 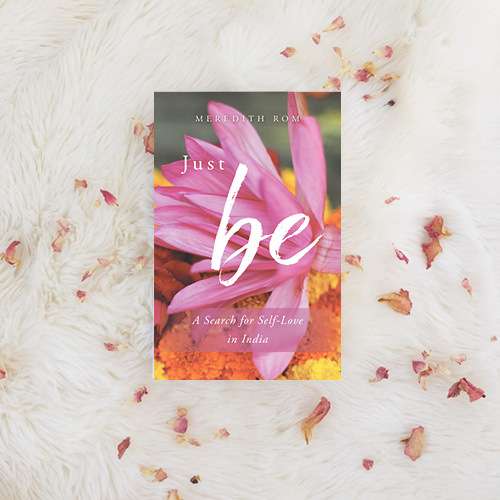 "Just Be" is a testament to that and so much more. This book reminds you of how important it is to trust your intuition and to step into your true calling. Not to mention you get to travel with Meredith through gorgeous lands and meet the people that were placed in her path (and now yours) for beautiful and life-changing reasons. I highly recommend this book to anyone who needs confirmation to follow their heart and never look back. The beautiful high vibrational energy that resides in these pages is palpable! I felt it upon opening up my package that this book was something special. Reading this book transported me into, not just her experiences, but more importantly the magical sycnronicities that lived within those experiences. It was a wonderful reminder that no matter where I am in my life, I am exactly where I'm meant to be. Through her story, Meredith shows us by her profound example about surrendering to the flow of the Universe and exactly what can happen if and when you do that! I found myself smiling, laughing and nodding right along with her magical journey to India. I loved every inch of this incredible book, and I highly recommend it to everyone!!! I could not put this book down! It is a courageous adventure and love story about a young woman who finds out how to trust herself, love herself and how to be unconditional love. I feel like I went to India and visited the different ashrams with her. I put it up there with "Eat, Pray, Love" and "Wild" as books that leave you feeling empowered and inspired. I have been telling all of my friends "You have to read this book!" 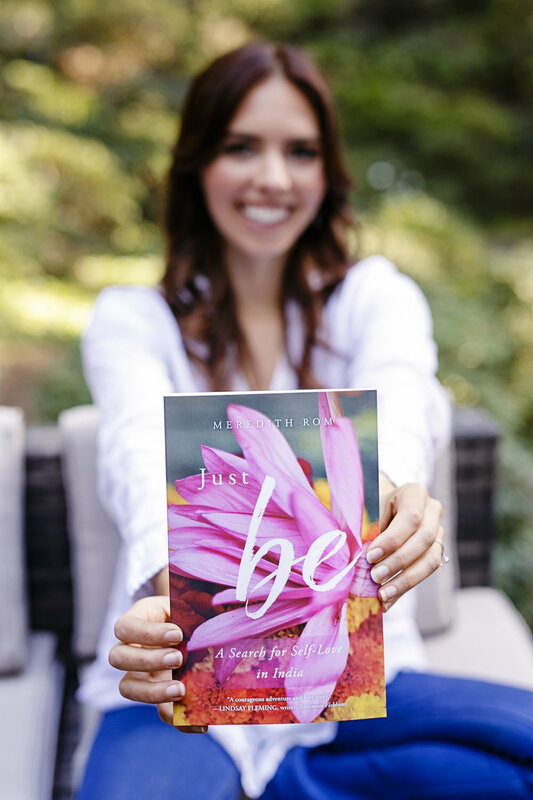 Click the images below to watch and listen to interviews with Meredith Rom about "Just Be"